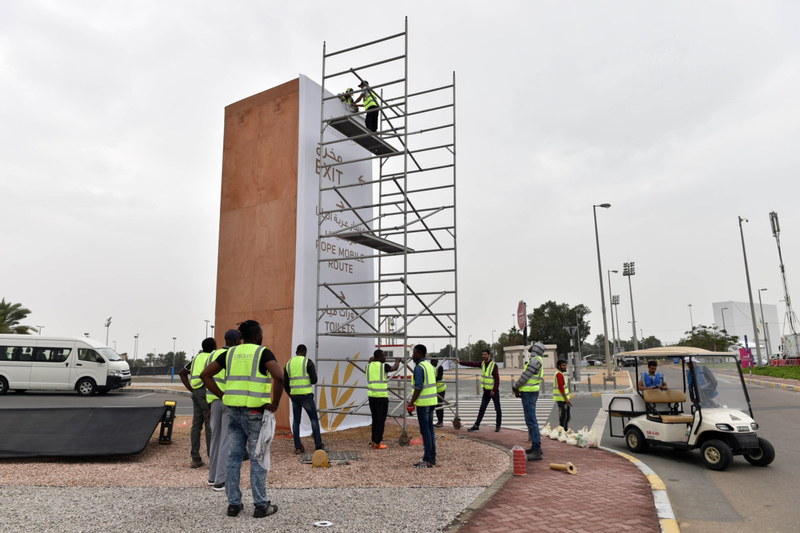 Dubai: Tuesday is the day they have all been eagerly waiting for — all one million of them — to watch history unfold as they see and hear the Head of their Church say mass in the UAE. 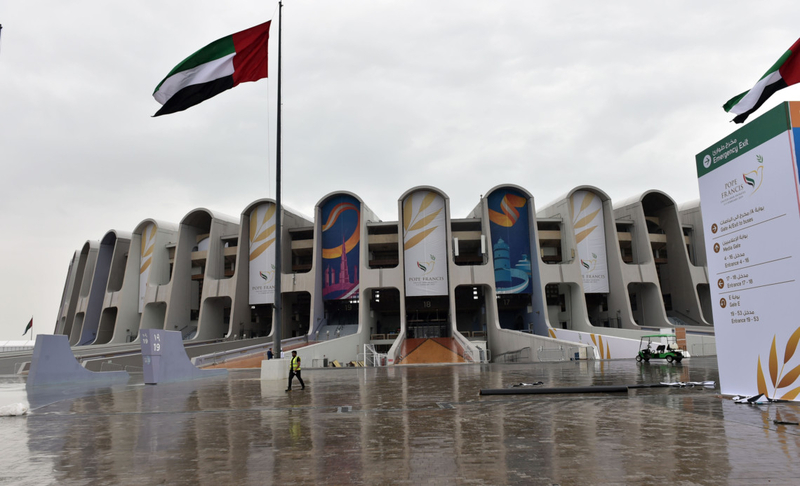 At 10.30am on Tuesday, Pope Francis will celebrate a Holy High Mass at the Zayed Sports City Stadium with 135,000 Roman Catholics from the UAE and beyond. Hundreds of thousands more are tuning in to the live-stream. The mass is the final leg of his three-day visit to the UAE, the first time a pontiff set foot in Arabia in the two thousand years of the Catholic Church’s existence. 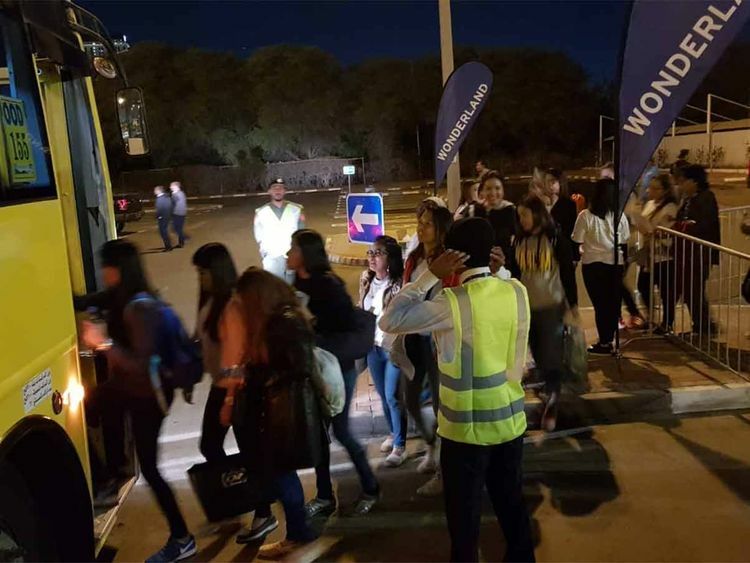 Tens of thousands braved the cold and travelled by bus and private cars from across the country to the capital some seven hours or well before gates opened at 5am. Hundreds more flew in from different countries. Their faith drew them here. Their hopes for blessing from the people’s Pope, an enigma. 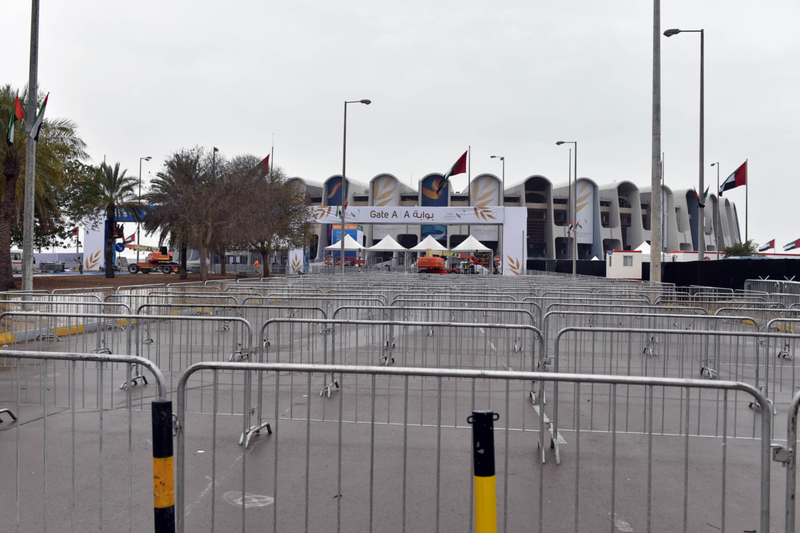 Over at the stadium in Abu Dhabi, preparations were in full swing on Monday. Mass booklets had been placed on the seats in the gallery as early as Monday afternoon. Chairs were also placed in the pitch facing the main stage. Pope Francis is expected to enter the stadium on the Popemobile, blessing people on the way. The ones sitting outside the stadium will get a chance to see him up-close. Once inside, the Popemobile is expected to drive around the stadium. How should people behave in front of the Pope? In terms of etiquette when meeting the pontiff during his public appearances, there is no standard rule, Father Lennie J.A. Connully, OFM Cap, St. Mary’s Catholic Church parish priest, said. “When you meet him personally, if it’s a personal audience, that’s the time there’s protocol and all kinds of things. This is a crowd meeting the Pope,” Fr Lennie said. Security will be tight during the mass as expected. A list of prohibited items — mainly things that can compromise public safety — have been released. As for the Pope’s practice of physically blessing people and kissing infants as he has done in the past, Fr Lennie said it’s hard to say if this would or would not happen. “The Pope is known to generally not follow [protocol]. Security always has a problem whenever there is a crowd — the problem is to control the Pope, not the crowd. This is his personality. I have witnessed this in Rio, Brazil. People were throwing flowers to him, throwing their cap, throwing their dress and all, he was very humorously catching them. He just enjoys the crowd,” Fr Lennie said.